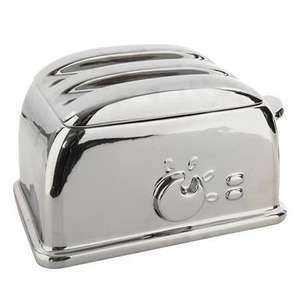 This silver bread bin is part of Debenhams Ben de Lisi designer kitchen ware range. It is shaped like a toaster with a 'lever' on the side and domed 'controls' at the front. It also has two grooves across the lid.